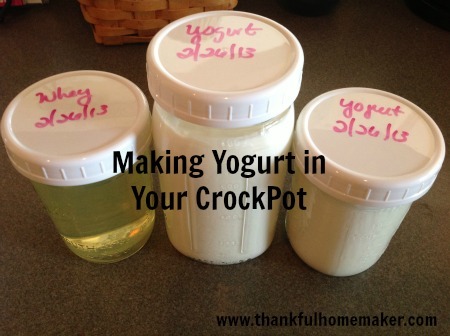 There are lots of posts out there on how to make yogurt in your crockpot so I am going to share with you my abbreviated recipe and send you to a couple of favorite sites that were a help to me in this process. It is simple, fast and very economical because every time you make a batch after the first one you will have your own yogurt to start with. We use whole milk that is free from growth hormones but it isn't always organic. 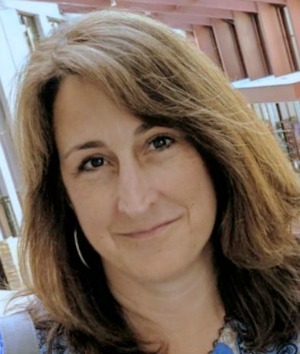 Two great websites that explain in detail are: You Can Make Yogurt in Your CrockPot from Stephanie at A Year of Slow Cooking and Caroline at The Modest Mom has a great post called How to Make Greek Yogurt in the CrockPot. I use a half gallon of milk because the yogurt lasts about 7-10 days and this quantity works well for our family and I use the method Caroline has in her post on how to make greek yogurt by straining it for several hours and having the whey on hand is a great bonus too! Cook milk in your crockpot on low for 2 1/2 hours. Turn the crockpot off for 3 hours. Take out 2 cups of milk and add in your 1/2 cup yogurt. Mix together and add back to the crockpot and blend well. Cover your lidded crock pot with a towel and leave overnight or for at least 8 hours. Strain your yogurt over a colander lined with paper towels or cheesecloth put inside a bowl in the fridge for 2-3 hours. Place yogurt and whey in jars, label and store in the fridge for about 10 days. *I usually start my yogurt around 3:00 or 4:00 pm. This is because I'm old and go to bed early. I made it the other night and had to stay up until 10:00 pm and I thought I wasn't going to make it!! 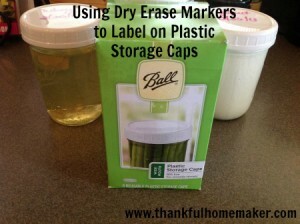 Quick tip: I like the wide mouth plastic canning jar lids to store the yogurt (or really anything) because you can write on the lids with a dry erase marker and it just washes off easily when you're done with it. Question: is it good for up to 10 days, or does it have to sit for 10 days before you can eat it? Neat, I didn’t know you could do that! Thanks for the info! !